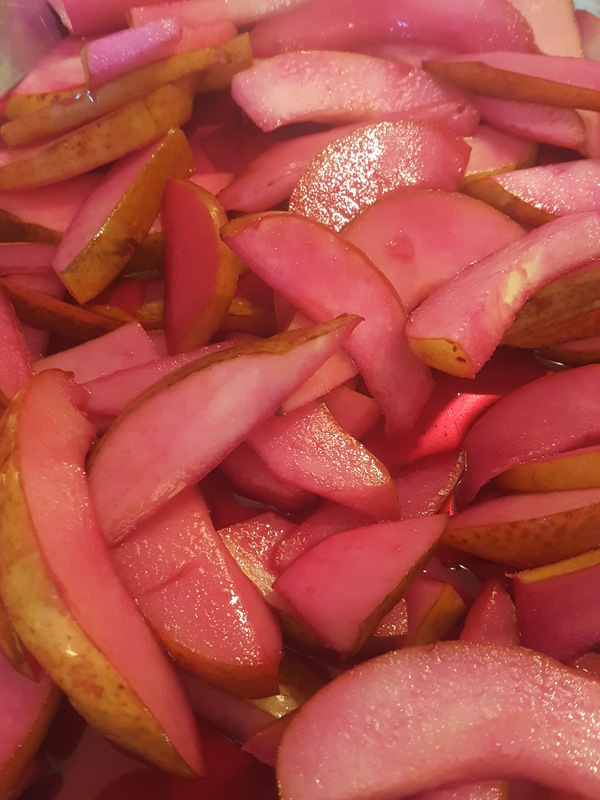 So I pared, sliced and put them in the oven with a few cubes of frozen prickly pear juice. 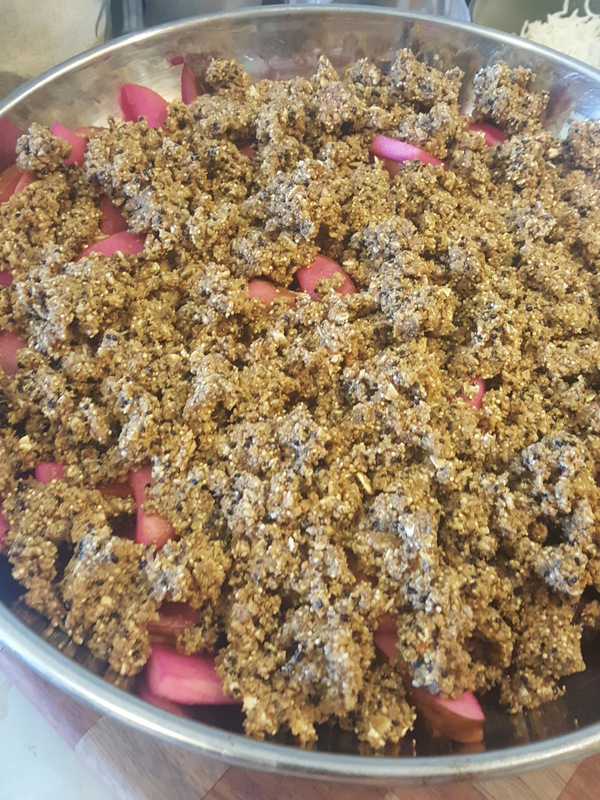 After baking and stirring, they looked like this! 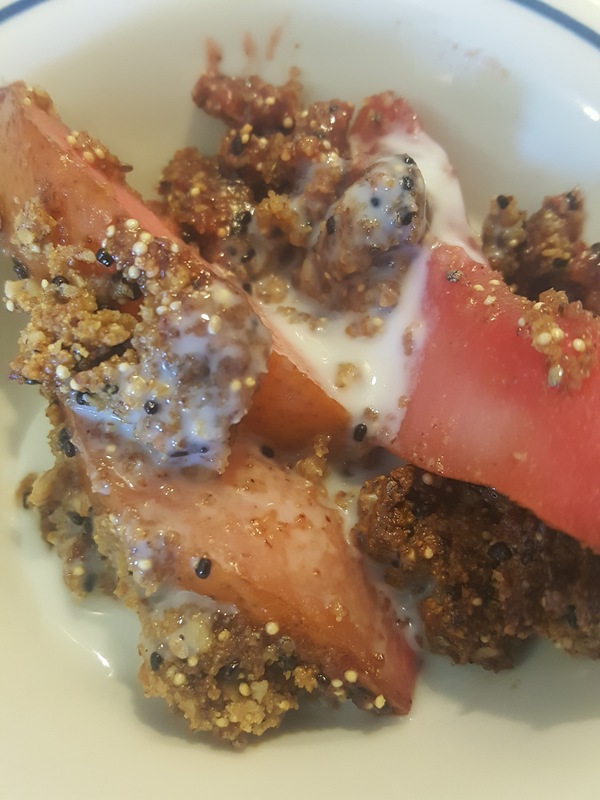 Then I made a crumble topping, staring with plenty of desert seeds, from left to right: saguaro, amaranth, chia, barrel cactus. The bulk of the mixture was mesquite meal, rolled oats, pecan meal, butter, sugar (evaporated cane juice). For seasoning, I used cinnamon, cardamon, dried rose petals and dried ocotillo flowers. 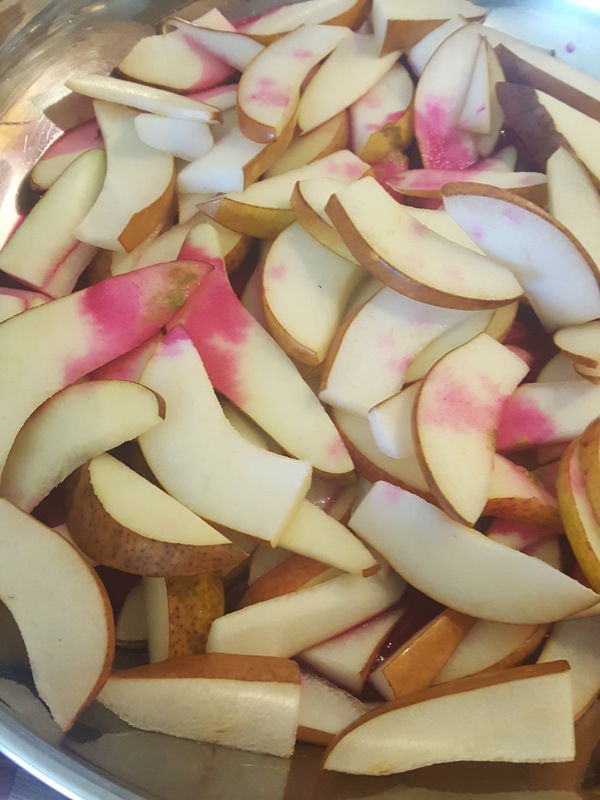 Once mixed, I crumbled the mixture over the pears and put back into the 350 degree F oven to bake until browned and crunchy. It is best served warm, here with a little homemade goat yogurt, but cream or ice cream works, too! This recipe is so forgiving. I was short on oats so increased the pecans. 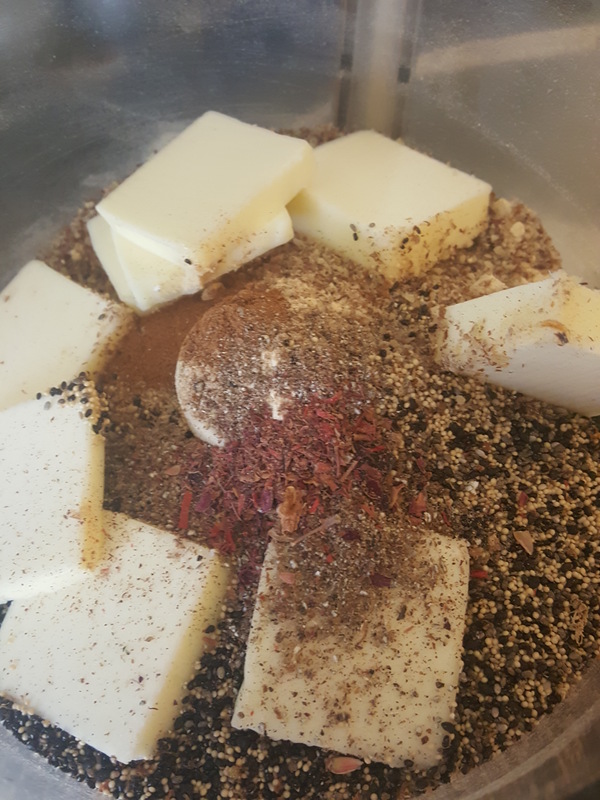 I doubled the cardamom, traded evaporated cane juice for the brown sugar, substituted water for milk, changed the orange/apple juice to prickly pear, and doubled the seeds. Coconut oil works fine instead of butter for this, too. Slice the fruit into a baking dish, add juice, and bake at 350 degrees while preparing the topping. Mix all the topping ingredients in the food processor, distribute over sliced fruit, and bake at 350-375 degrees F until browned. Enjoy! A Gastronomy Tour thru Time–from Ancient to Now! 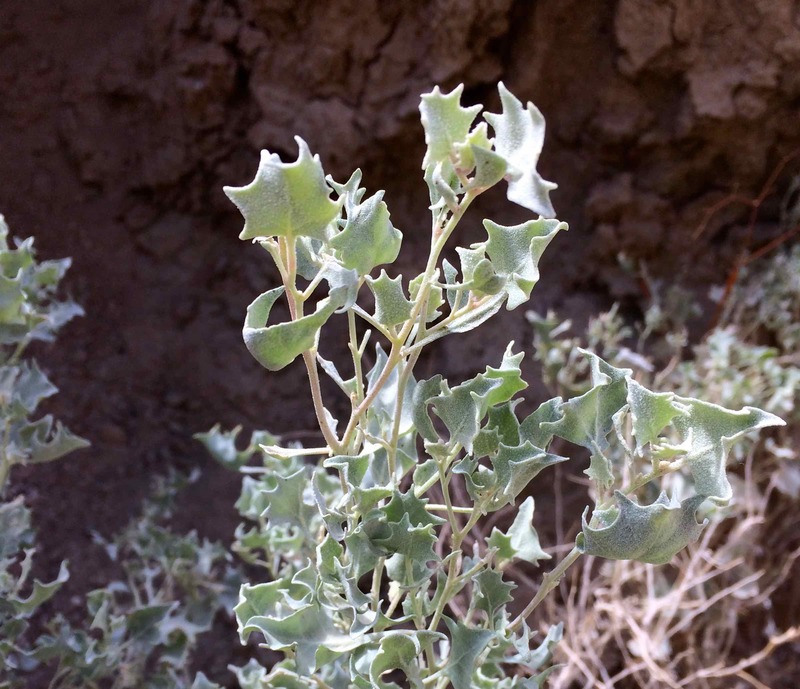 All around us in the desert–in our own Tucson Basin and beyond–there is evidence in the rocks that people long ago were gathering, processing, growing and eating bountiful desert plant foods. 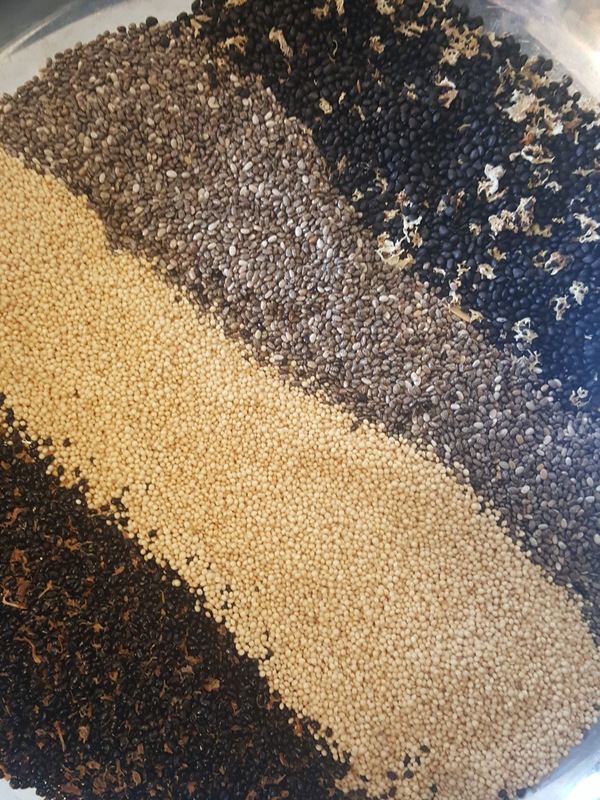 The same plants (mesquite beans, amaranth, chia, corn…) are providing us today with a smorgasbord of yummy ingredients for new culinary creativity. The pre-history and history of our diverse food cultures–not to mention the amazing inventiveness of our local chefs, farmers and gardeners–led UNESCO to name Tucson the first International City of Gastronomy in the US! Tia Marta here to tell you about upcoming GASTRONOMIC TOURS created to celebrate our diverse local food heritage. Are you ready for total immersion in culinary bliss? 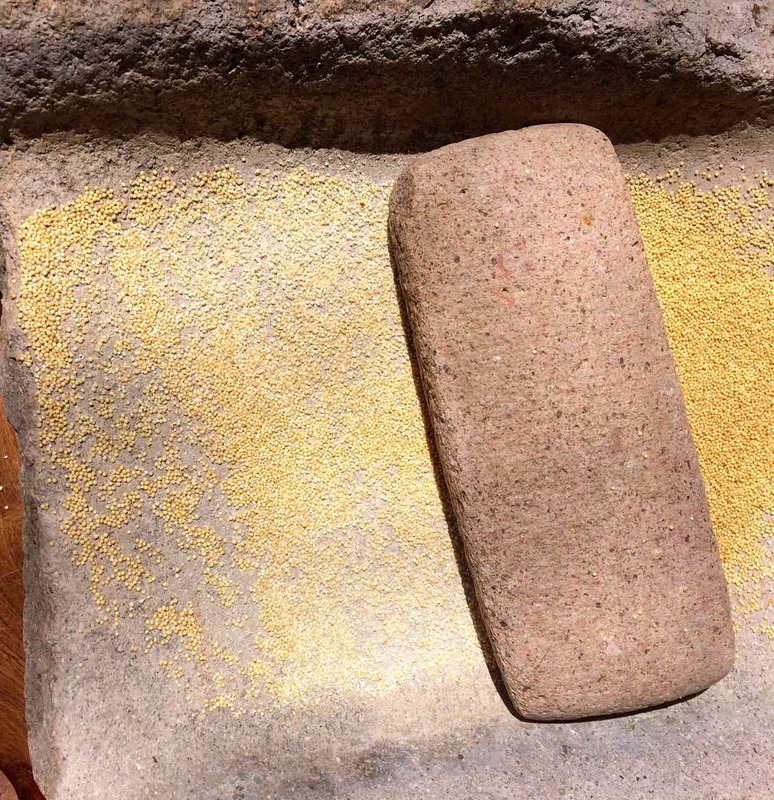 Tucson’s Presidio Museum is sponsoring tours of our food heritage in the heart of Old Town. Look for announcements about The Presidio District Experience: A Progressive Food Heritage and History Tour. 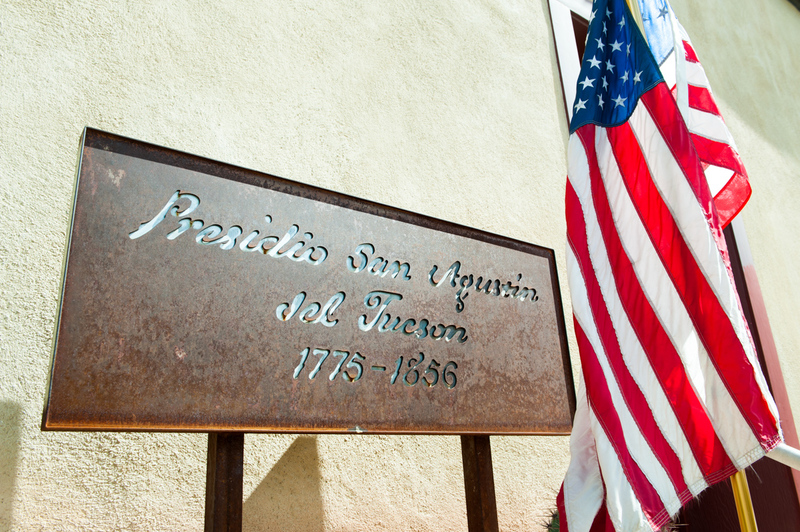 Tucson’s Presidio San Augustine Museum–a living-history treasure at the center of downtown where visitors can envision life of 18th century Spanish conquistadores and their families on the new frontier. In the style of progressive dinners or “round-robins” the tour will begin at the Tucson Presidio Museum, developing a sense of Tucson’s setting and cultures over the recent 10,000 years. 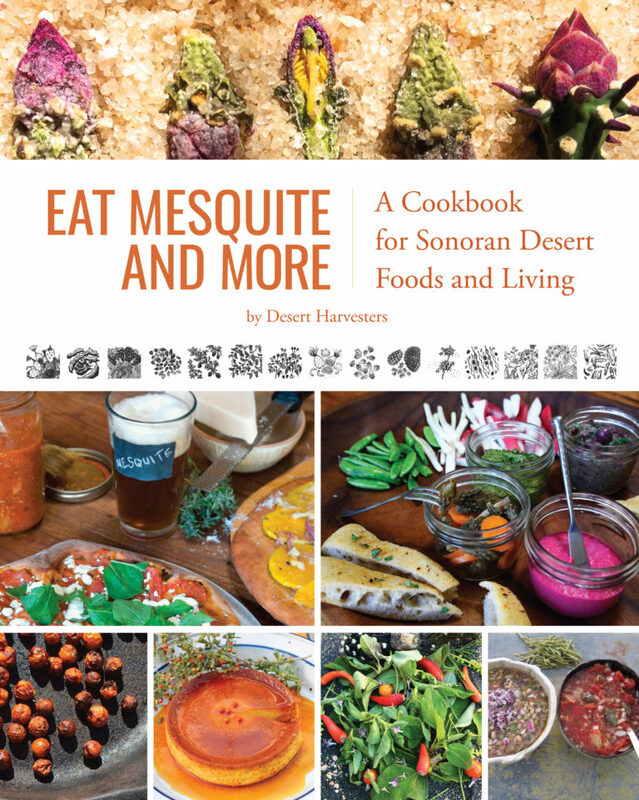 Participants will enjoy samples of traditional wild-harvested desert foods, then surprising Spanish introductions. Next tourers venture forth afoot to taste Hispanic and Anglo family traditions plus nouvelle cuisine desert-style at some of our one-of-a-kind historic restaurants. Past meets present in a symphony of taste sensations with spirits, entree, bebidas or dessert at each new venue. 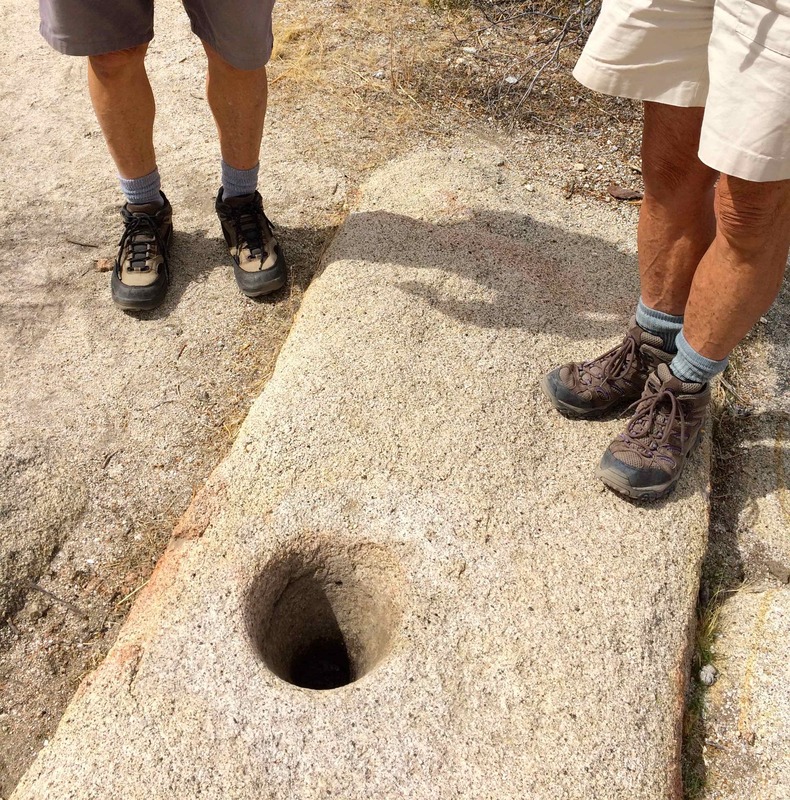 These tours are educational-plus! Feeding not only body and satisfaction-center, knowing Tucson’s gastronomic history feeds the mind and soul as well. Tours are scheduled for Sunday afternoon, March 25, April 8, 15 or 29, from 1pm-3:45pm. Check out http://www.tucsonpresidio.com , go to the event calendar and click on Heritage Tour for details and registration for each date. 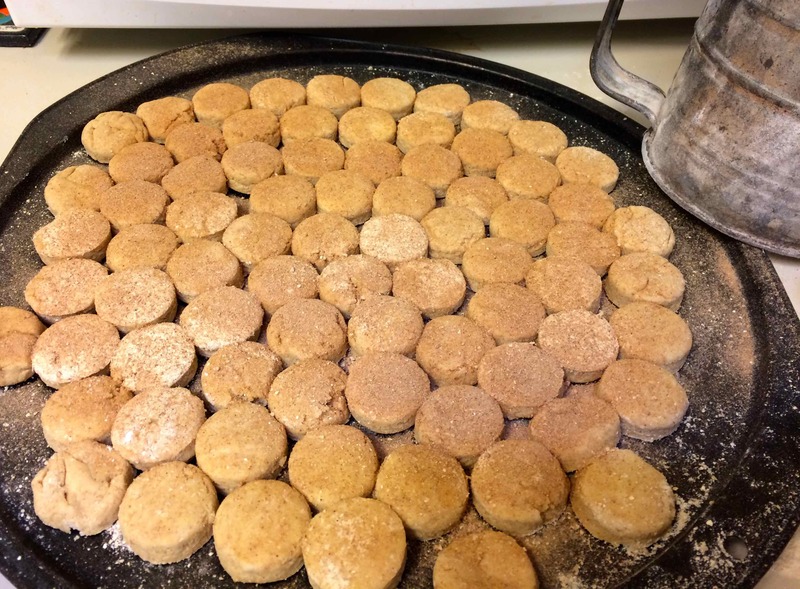 Now, with the goal of merging plant knowledge with many food cultures into one tasty recipe, I’d like to share a quick and easy idea to enhance a pot luck or dinner for a few: Muff’s Multi-Heritage Biscuits. Preheat oven to 450 degreesF. [You can use a solar oven but it will not get quite that hot. Solar biscuits come out harder–reminiscent of cowboy hard-tack.]. 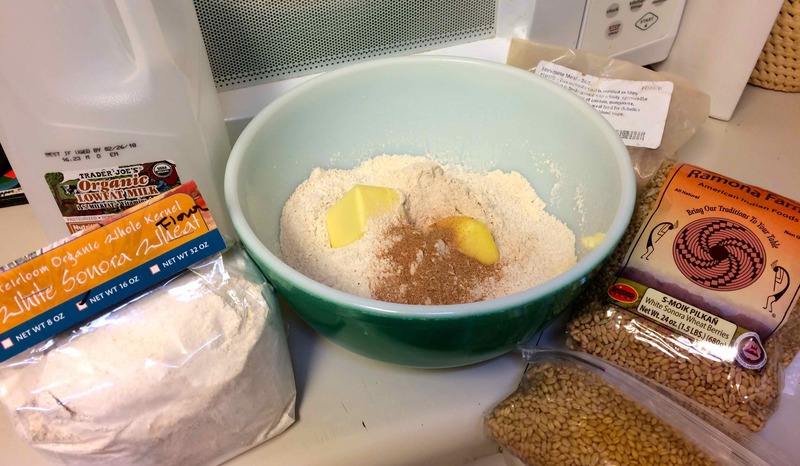 Sift together flours, baking powder, and sea salt. Cut in the butter to small pellet size. Add milk. Stir until soft dough forms. 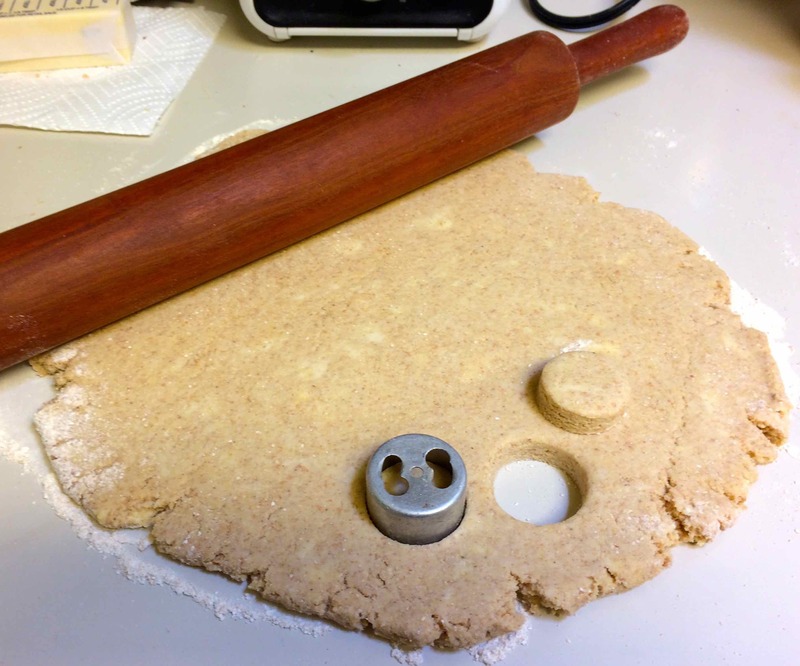 Either drop by spoonfuls onto cookie sheet for “bachelor biscuits” OR, turn the dough ball out onto a floured board. Knead a few turns. Pat or roll lightly to about 1/2-inch thickness. Use any shape cookie cutter to form biscuits–small for bite-size, large for cowboys, initialed for kids. Bake on ungreased cookie sheet 12-15 minutes until barely golden. 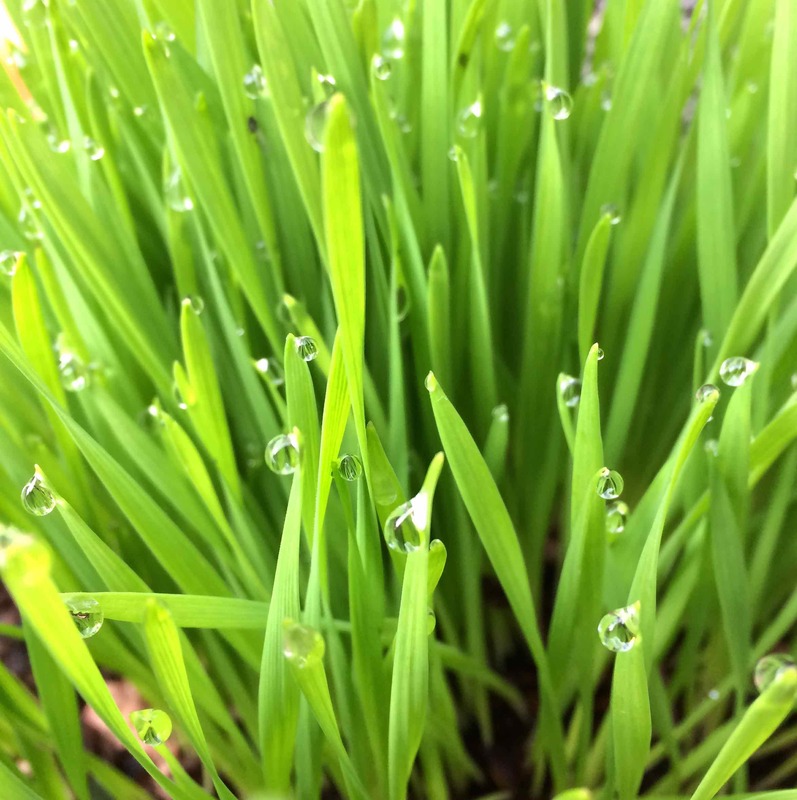 Serve hot, rejoicing in the diversity of heritage foods still available from local farmers or in nearby desert! You can find many traditional desert foods and artworks depicting these botanical and culinary treasures at http://www.flordemayoarts.com. 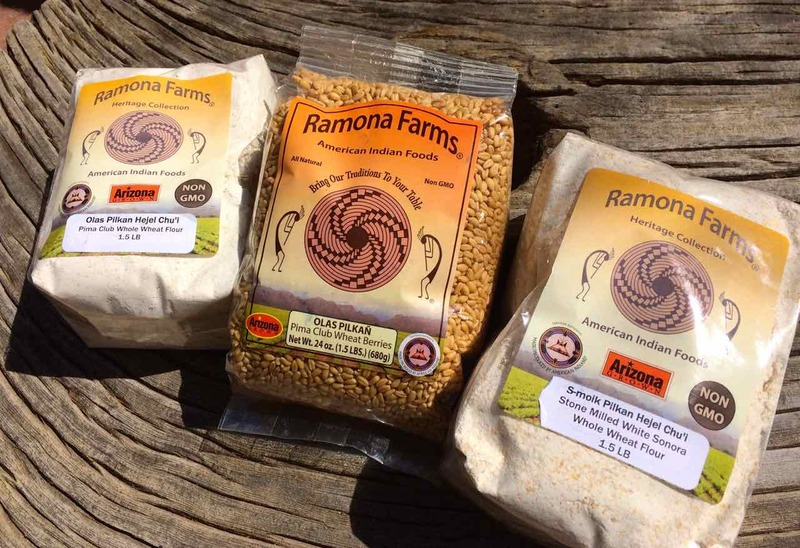 Flor de Mayo native heritage foods can be purchased at ArtHouse.Centro in Old Town Artisans at LaCocina Courtyard, NativeSeeds/SEARCH store and online catalog http://www.nativeseeds.org, at Tumacacori National Historic Site, Tucson Presidio Museum Shop, Saguaro National Park Bookstore, and Tohono Chul Park Museum Shop. 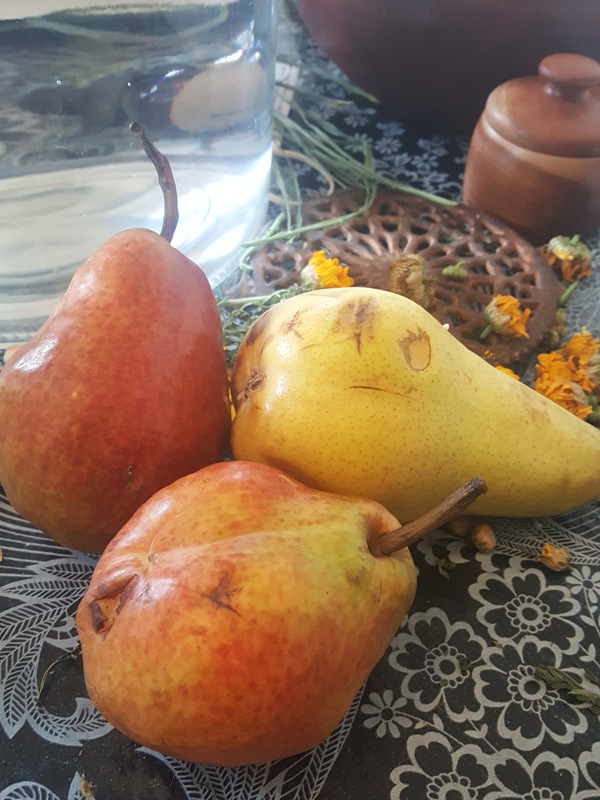 Join us at Mission Garden (http://www.tucsonsbirthplace.org) Saturday, March 31, 2018 for a public tour by Herbalist Donna Chesner and ethnobotanist Martha Ames Burgess about Desert Foods as Medicine. Hoping to see you in Old Town for a gastronomic tour this spring! 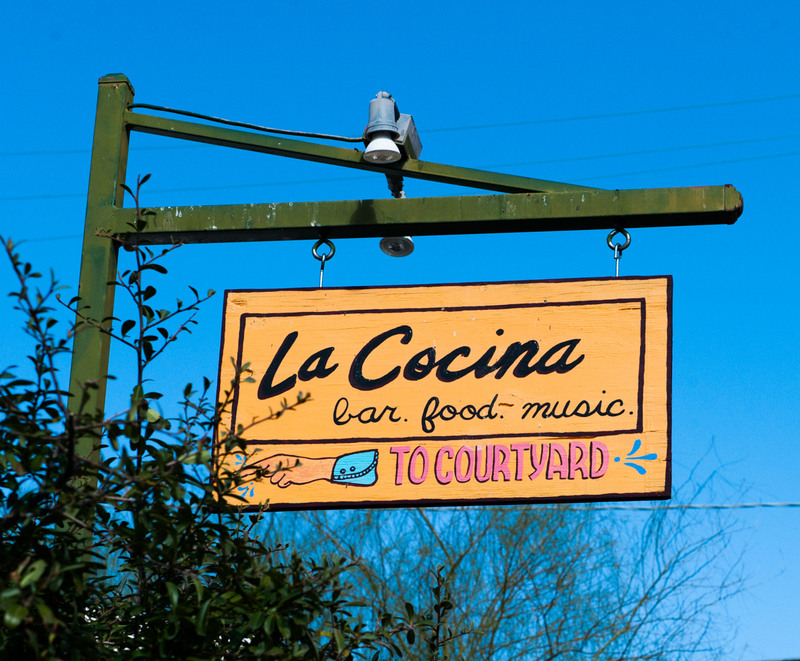 Plan now for some of that immersion experience in local culinary bliss….